London’s nightlife is extraordinary, to say the least, as it has one of the most vibrant, dynamic and diverse club scenes in the world. Londoners are very serious about their work during the day but as soon as it is evening time, they really know how to have fun. 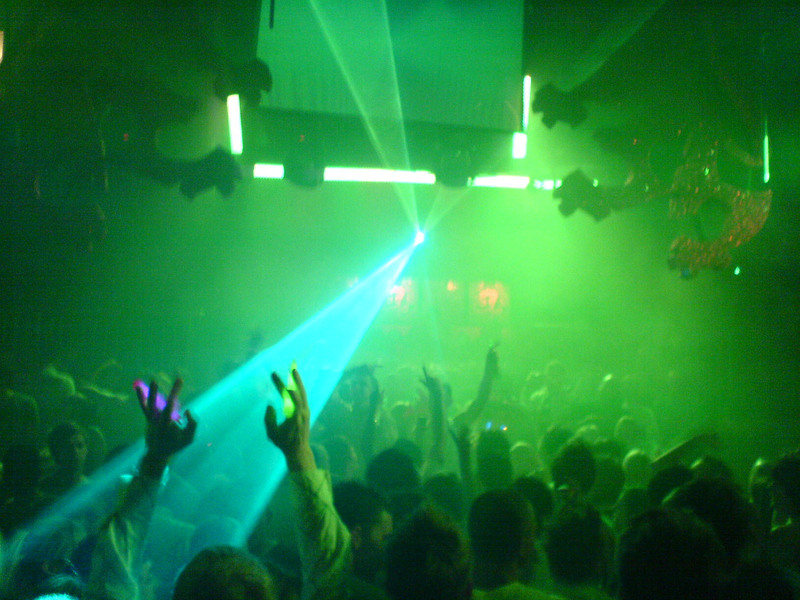 Some of the best known places in London to party include clubs like Fabric, Ministry of Sound and Cargo. A plethora of bars, clubs and restaurants can be seen in the West End whereas Soho offers an extremely fashionable place to have a drink. The areas of Notting Hill and Portobello Road also attract a lot of tourists who are out to have some fun. Some exquisite bars and pubs can also be found in Camden, Clapham and Brixton areas of the city. The top NightClubs in London which are very popular are Fabric, Cable, Cargo, Dalston Superstore, Corsica Studios, Plastic People, Ministry of Sound, The Loft, The Drop, and Paramount bar. Of these, perhaps the most popular is Fabric which is a favourite of both locals and of visitors to London who love clubbing and are out to have some real good fun. It offers a wide variety of music ranging from electronic music from Drum & Bass and Dubstep to House, Techno and Progressive. It also has brilliant Djs. All these clubs have an entrance fee that ranges from 3 pounds to 20 pounds and you must be at least 18 years old to enter any of the clubs. However, before going to any of the clubs, you must ensure that buses run at night in that area. This will enable you to save money for the taxi back, which unfortunately is quite expensive in London. If, however, you wish to have a quiet evening while enjoying a drink and having some conversation, it would be best to visit one of the many English pubs that are available in all parts of the city, where you can find a wide selection of the best beer, cider or whiskey. For people who love to see a good show, there are a whole lot of theatres such as the Lyceum Theatre or Queens Theatre where they can enjoy a musical show. London also offers many avant-garde theatres outside the West End area, where they can see classical theatre plays and even cabaret shows. Non-commercial theatres in the British capital include the National Theatre, Royal Shakespeare Company (RCS), Shakespeare’s Globe Theatre and The Old Vic. The Royal Opera and the Royal ballet in Covent Garden offer cultural evenings while classical music can be enjoyed at the Albert Hall. It is best to stay in Park Grand London Kensington Hotel , if you wish to be conveniently placed with respect to the exotic nightlife in London so that you can return to your hotel safely after a late night. London, a city of culture, is now offering new possibilities in the nightlife scenario that have emerged in Shoreditch of late with plenty of the coolest bars, pubs and clubs. The younger generation is fashion conscious and craving for creativity while trying to explore the unknown. They find this place to be very exciting and full of new possibilities for nightlife in London. However, the bars and clubs in Shoreditch are smaller than their West End counterparts but they are definitely more decorated with the latest urban art trends and interiors. Moreover, they play the latest underground music ranging from English Folk to Dubstep. They are also cheaper in respect of drinks and entrance fees and they project a raw shade that cannot be found in a bar or club in Leicester Square. The Oxton Pony or the T bar are good examples of the latest trend of clubs and bars in this area. Over the years, the nightlife places in Shoreditch have increased rapidly and you will always be able to find some new place for you to explore and enjoy. The streets of Hoxton and Old Street are now witnessing a new wave of Shoreditch bars and clubs which are giving a West End touch to the eastern parts of London. This trend has the potential to trigger a major shift in the London bar and club scenario. London’s club scene is quite diverse as it is a melting pot of a whole lot of different cultures and lifestyles due to which it provides the right foundation for people to pursue their creative talents. The clubs in London offer varied types of music that include hip-hop raves, house raves, bashment rave, garage and dubstep. The music scene does not stagnate with one type of music and London is certainly at the forefront as the global music industry follows in its trends and borrows creative music ideas from it. Some of the top end places such as Project London or Cuckoo Club have very high standards of music and people who visit them regularly are bound to brush shoulders with some celebrity or the other with whom they can even strike a conversation. However, drinks at these clubs are usually expensive and most people just stick to beers as a bottle of Champagne may cost more than £1000. Some young music enthusiasts like to go to clubs in Highbury and Islington such as the Saint Mary’s Youth Club. Each music club has its own speciality and people choose to visit a club depending on their location and their affordability. There are clubs such as Birthdays on Stoke Newington Road that are preferred by many as you can always find a kebab place and a cab rank nearby. The other popular music clubs are Concrete, Village Underground, License to Chill, Work it, Fiesta and Glo Glo’s Bar. Simply put, London’s nightlife is unpredictable, exotic and a bit unorganised.